HV & LV Cable Jointing. Electrical Distribution Services (EDS) is a UK, Midlands based company with over 30 years' experience of installation and maintenance in the power networks industry. Once established in this field, the directors diversified the company into other aspects of electrical installations and established EDS Continental as a company in 2011. Since then, the company has built a reputation for quality of installation and safe working practises, growing from 2 employees to the present 30. 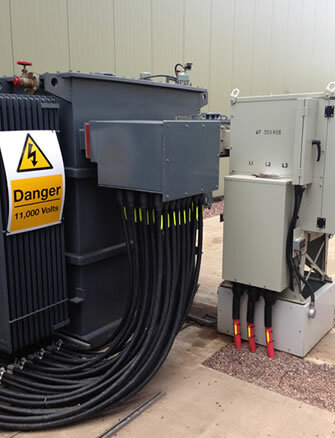 EDS Continental now specialises in high and low voltage power systems from distribution transformers and associated switchgear. This specialisation includes high and low voltage cable jointing and termination to large-scale solar farm installations. 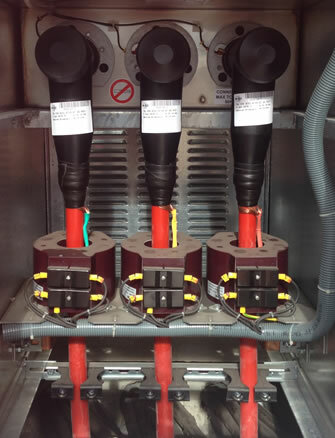 EDS Continental engineers are fully certified in the jointing and termination of both HV and LV cables, as well as switchgear compliant technicians, who are qualified to carry out a wide range of installation and maintenance tasks, working to the latest installation regulations. Working as a contractor with a number of blue chip HV and LV power clients, EDS Continental undertakes both reactive and proactive maintenance as well as complete installation projects. Backing these services is a Nationwide 24/7 Sales, Service and Support team, resulting in improved reaction times and unrivalled response. Our future plans include building on our cable pulling and installation experience and taking this expertise to the European market. So for companies who require a team of experts within either the UK or Europe markets, EDS Continental can offer cable pulling advice and a free, no obligation quotation. EDS Continental have the expertise and flexibility to work as a main or sub-contractor - involving us at the design stage of your project will ensure that you get your supply network up and running quickly and efficiently. Choosing EDS to undertake on-going maintenance of your system will ensure that any disruption to your supply network, whether nuisance tripping or something more severe, will be investigated and immediate action taken to get you back up and running in as little time as possible - reducing down time so maximising your profits.